Quality management of a product or service should not be taken for granted if you expect to thrive and succeed in a highly advanced marketplace. Today, conformity to quality standards is as important as the price or the availability of a product. A high-quality good has more market and is preferred by buyers over low-quality ones that do not ensure the conformity to quality standards set by the government and industry regulating bodies. It might seem a bit daunting to achieve necessary quality standards while maintaining the ongoing production process, but there is a solution. Total Quality Management Software introduced by Harrington Group International gives you the key to success through the use of its quality management tools. In the contemporary world of business, an ideal Quality Management software includes a policy for quality, a convention for the development and implementation of quality planning and assurance, a procedure for quality control and a methodology for quality improvement. All these are readily available to you with our Total Quality Management Software with the proper integration of quality management tools. Using just any software solution that is available will not give you the results you look for long-term. The utilization of the most suitable Quality Management Software will free you from a lifetime of worries on proper quality management. Quality management includes leadership engagement of people, customer focus, evidence-based decision making and relationship management as well. With the proper quality management tools in place, you can now design, develop and produce a quality product or service that meets consumer expectations and necessary quality standards. 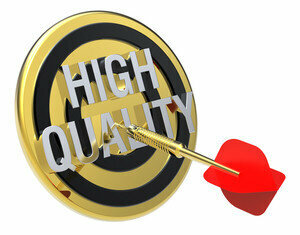 Essential customer satisfaction can be gained with the use of our software solution for quality management.